Dozer comes to us from a high kill shelter in AL. He's listed there as a Pointer mix who is 3-4 months old and weighs about 22 lbs. Without DNA testing, breeds are only a guess - but considering the appearance of Dozer and Blitz (sibling) we see Pointer, Dalmatian, Hound, and maybe Weimaraner in the genetic family tree. Dozer gets along great with other dogs and is currently enjoying doggie daycare at Sleepdog Kennel in Colchester. He has not been introduced to cats, but is at a great age to learn about them. He is crate trained and house broken. His tail has been docked. 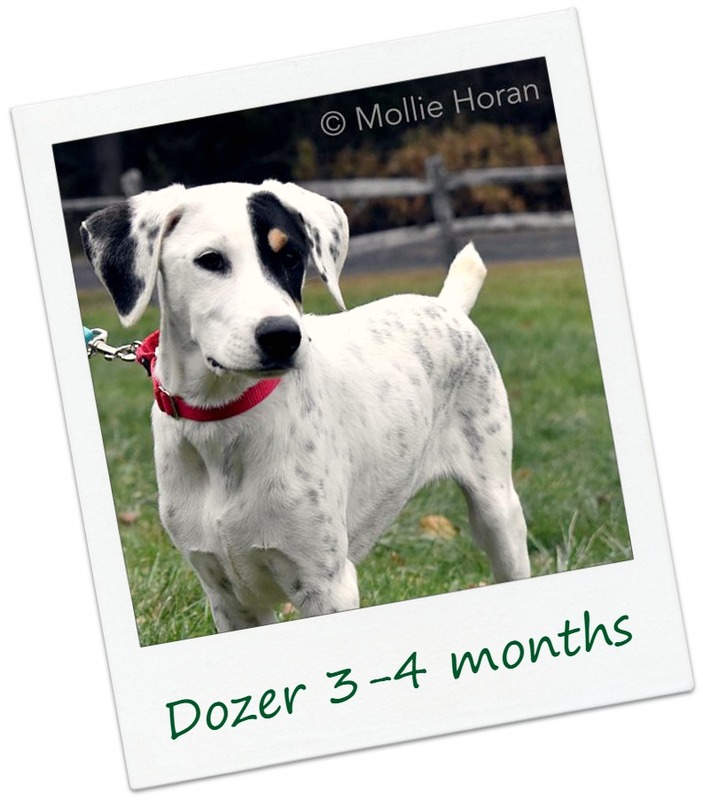 The incredibly talented Mollie Horan captured these vibrant photos of Dozer. Mollie founded Operation LEASH to help rescued dogs find homes through photography. Thank you Mollie! !